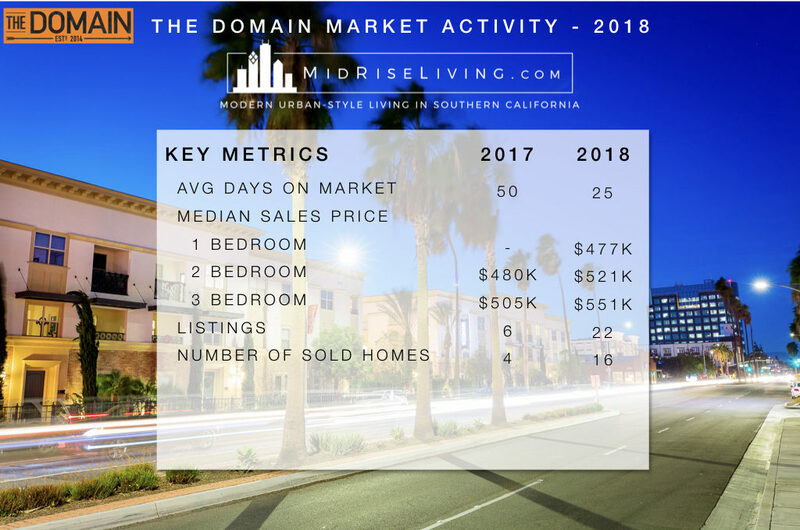 Activity in the Domain of Anaheim picked up significantly in 2018 compared to 2017 when there were only 4 homes sold. 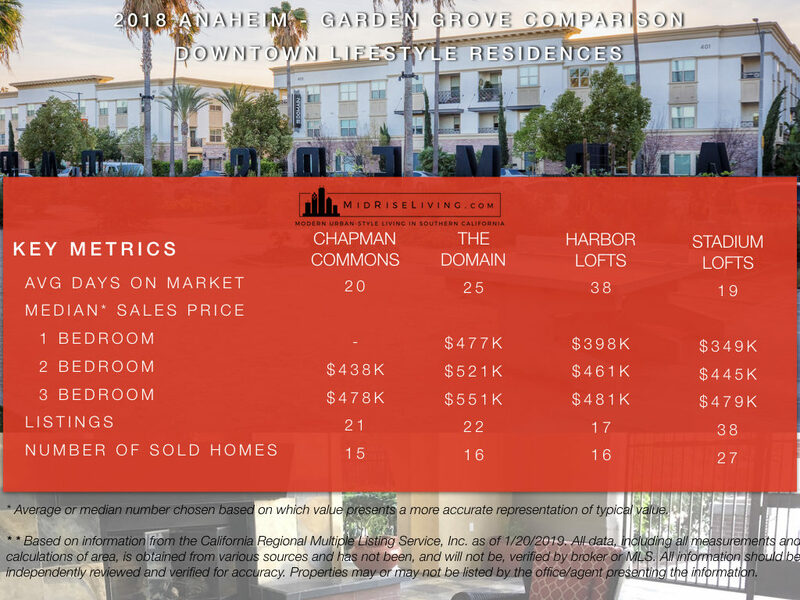 Both 2 and 3 bedroom floorplans increased in value as the Orange County market in general saw increases in median home price for homes under 3,000 square feet. 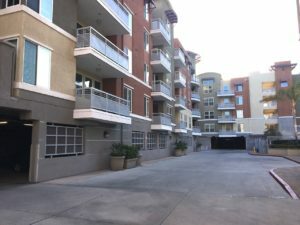 For 2019, the appeal of the surrounding area of The Domain with the Packing House and Center Street should continue to keep demand strong for the 2014-built residences. Unless the economy and interest rates change significantly, I don’t expect a big change in values for Domain residences. Domain home owners can get a full report for their specific floorplan here. 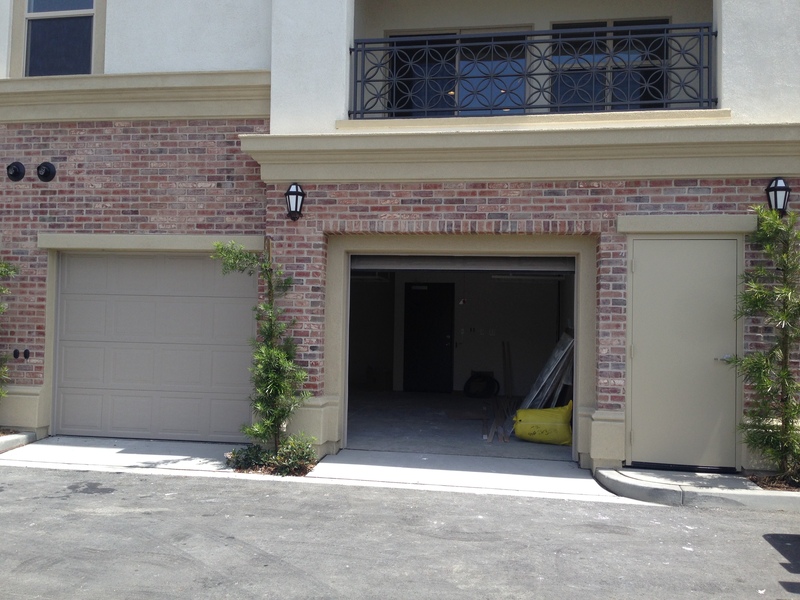 Do you think your HOA dues are high? Check out how they stack up against these communities.. 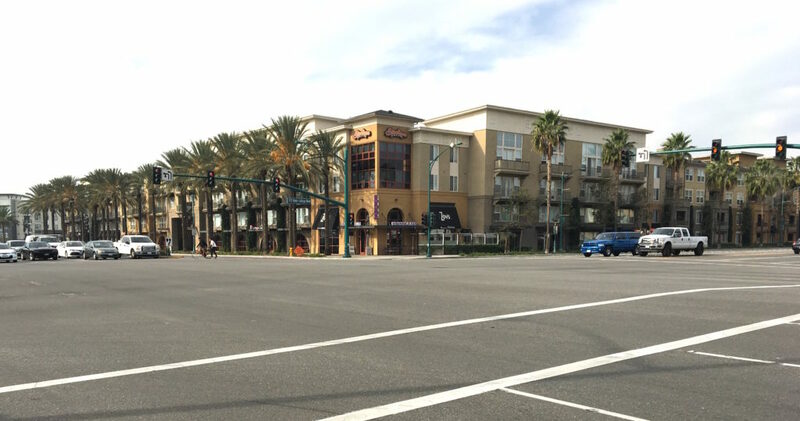 The Plaza in Irvine is one of the most lavish high rise buildings in Orange County. 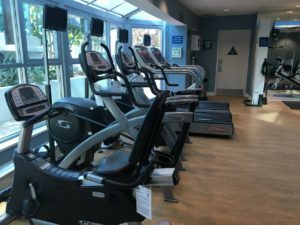 Stadium Lofts in Anaheim has been on the lower side of HOA dues without compromising amenities such as 24 hour security, full fitness center, sauna, pool, jacuzzi, and clubhouse. 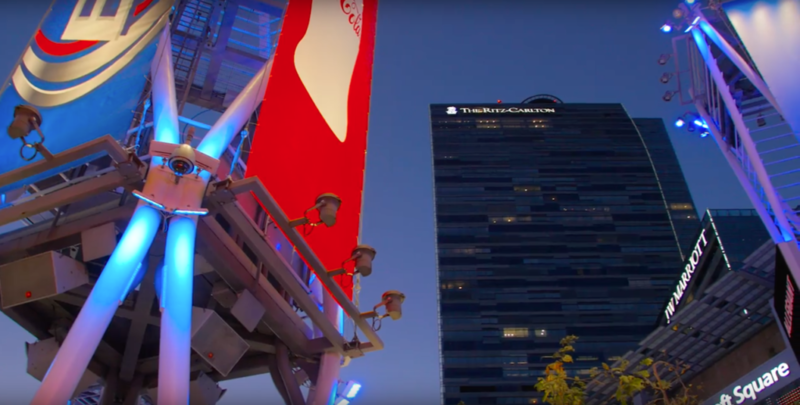 Ritz Carlton Residences at LA Live has arguable the most offerings of Southern California buildings with a full service spa, deck pool, club room, and much more right outside of Staples Center. HOA dues are needed to maintain the common areas and are most expensive in mid and high rise buildings due to security, upkeep, amenities, property management, insurance, and remodeling. There are many other costs involved in running an HOA such as accounting fees, legal, staffing, etc — pretty much most of the costs of running an income producing business. 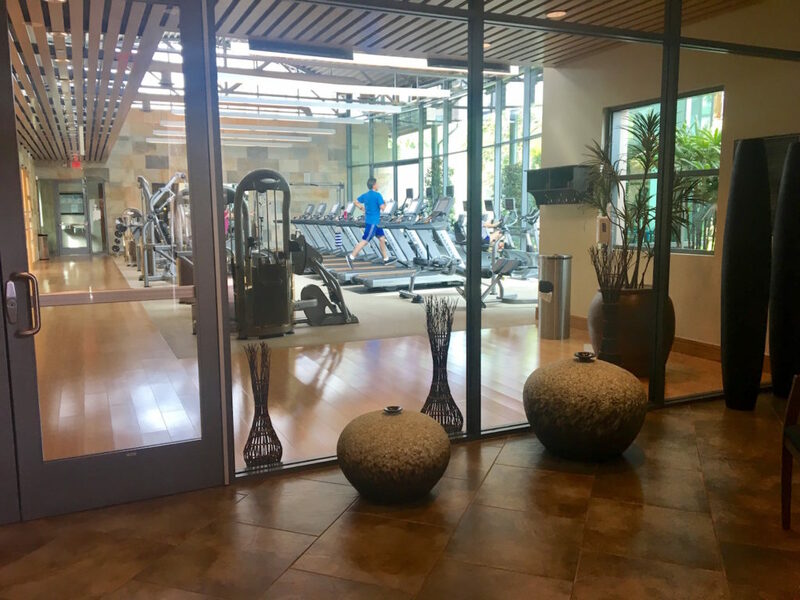 Resort-like amenities like a fitness center are expensive to maintain. Source: Various active listings as of 11/8/2018. 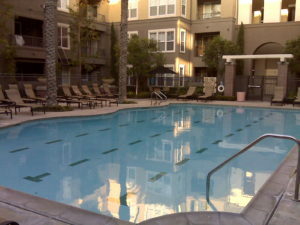 Multiple Listing Service SoCal CRMLS. Most rates vary based on floorplan and/or specific unit. I’m often asked that question then it will usually be responded with a puzzled look that expresses “don’t go there…” and then I usually bite my lip. While “price per square foot” is still one of the indicators that are tracked by the local Multiple Listing Service (MLS) and affiliate reports, it’s a horrible tool to use if trying to determine market value or list price. Zillow’s “Zestimate” relies heavily on this number along with a number of other factors to calculate a ballpark value. Those values from Zillow are often at the center of much controversy to both Real Estate professionals and homeowners. 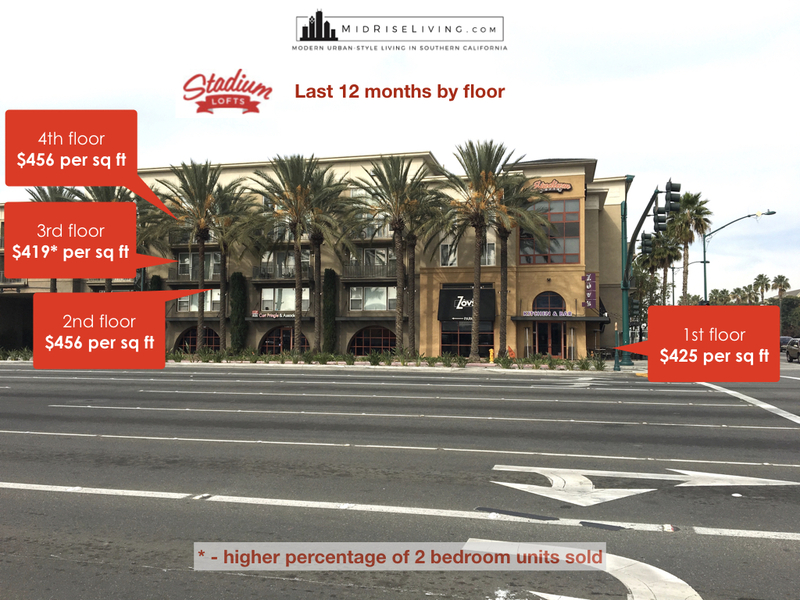 As shown in a recent report that I generated for The Stadium Lofts in Anaheim, you can see that while usually there’s a significant difference with a lower floor vs. a high floor unit, this graphic shows almost the contrary. We’ll discuss why this happened. It doesn’t take into account location – obviously, the calculation doesn’t know if the home has an ocean view or backs a noisy freeway. On a high or mid-rise condo, the higher floor can be the difference between a homeowner staring at a parking garage every day vs. seeing the majestic city lights with the sparkling ocean on the horizon. 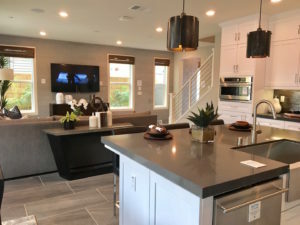 Price per square foot doesn’t take into account condition and upgrades – a home with green walls and an outdated kitchen will be worth less than a home with neutral colors and quartz countertops. Larger home designs vs. smaller home designs – in the example shown in the graphic above, your first glance might hint that 2nd floor units are more desirable than 3rd floor units. This isn’t the case. In the last 12 months, a higher percentage of 1 bedroom units sold on the 2nd floor. Smaller designs tend to sell more per square foot. Real Estate appraisers and agents use the “comparison method” that takes into account many other factors. In short, you have a “subject property” being evaluated and you adjust “comparables”, or similar homes with only a few differences. Those adjustments are made by evaluating recent sales. 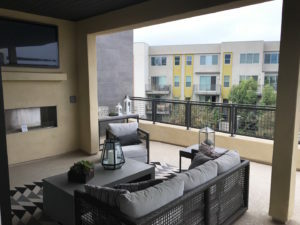 The Domain of Anaheim is able to command higher values due to amenities like a direct access private garage and superior location when compared to other condo buildings in Anaheim. You can obtain our exclusive market report for your property here.